they could achieve this by severing all formal ties with other churches and becoming an independent church. As a Baptist, I am a high trust--low control person. I trust local congregations to follow the Spirit and would defend them from outside control. My discomfort is not with this church making their own determination in this matter. Rather, my discomfort is with their labeling independence as the biblical model. Whenever we add the adjective biblical to something, we need to have done our homework—biblically, that is. We all read the Bible through the lens of our experiences, culture, and loyalties. It is not possible to read otherwise. The danger is that we may label something that is the product of our interpretation as being unquestionably mandated by the Bible. It is often wise to clarify a statement as our reading of scripture. Paul and his coworkers were not simply trying to foster a sense of connection with the church universal at all times and in all places. Rather, they were trying to engender cooperative bonds between flesh and blood congregations in specific places. I would argue that voluntary connectedness among congregations enriches the life of a church and can, on occasion, prevent a church from becoming captive to the unchecked idiosyncrasies of a leader(s) who wishes to exercise a level of control that is not healthy. When congregations become disconnected from other churches, sometimes they can go off the rails organizationally and theologically. The believers in Corinth benefit from connectedness as Paul guides them through a tough problem in 1 Corinthians 5; this is one of several issues Paul addresses in his letter. Community spawns health. Independence and isolation, when left unchecked, have the potential for pathology. Paul’s multiple references to the “Jerusalem collection” in his letters shows that churches took responsibility for supporting one another (Acts 11:27-30; Gal. 2:10; Romans 15:25-27; 1 Cor. 16:1-4; 2 Cor. 8:1-15 & 9:12-15). This collection for the saints in Jerusalem is woven throughout Paul’s letters. Paul promoted a sense of connection and mutual care through this effort. The model here is not independence and isolation. The New Testament letters talk about elders and bishops with respect to cities, not individual churches. The implication seems to be that there were multiple congregations in a city, for whom these leaders cared. In Acts 20:17, Paul makes contact with the elders from Ephesus; they are identified with the city itself. In Acts 14:23, Paul appoints leaders “church by church” (κατ’ ἐκκλησίαν). Given that a series of cities is listed in vs. 21-22, the implication is that these leaders were a common link for the congregations in each city (Mahlerbe, p. 101). 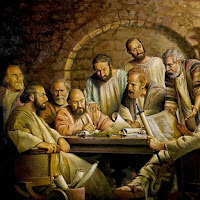 Even if the above paragraph is not convincing, at a minimum the appointment of elders by respected leaders in the broader Christian family indicates a strong connective network among congregations (Acts 14:23 and Titus 1:5). These are not independent isolated fellowships. Furthermore, the leaders in the Jerusalem church decide the issue of direct Gentile admission to the churches throughout the Roman Empire and what practices believing Gentiles must observe. This edict is then communicated and, presumably, practiced throughout the New Testament churches (Acts 15:1-35 and 16:4-5). These are not Lone Ranger congregations. Although Paul asserts an authority bestowed on him directly by Jesus Christ, he does point out that he received the endorsement of the Jerusalem leaders (Gal. 2:1-9). Apparently he feels this strengthens his hand among the believers in the province of Galatia. This suggests something other than a mentality of independence and indifference on the part of these congregations, as well. These leadership links between churches, although quite effective in the early days of the church, would make me a little nervous in our day. As a Baptist, I am not comfortable with outsiders dictating to local churches what they must and must not do and whom they may and may not call as leaders. As a Regional Executive Minister, I spend not a small amount of time explaining to congregations that I cannot and will not dictate practices to them; I will not make their decisions for them. Freedom is core to Baptist practice and identity. I am happy being a low control--high trust Baptist. Nonetheless, I affirm the values of connectedness and mutual care among churches evident in these earliest Christian congregations. Individualism is a marked characteristic of American culture. Our culture inevitably shapes our congregations. If a congregation wishes to become isolated and independent, I wish them all the best. The error is to claim that the Bible values individualism and isolation over community, cooperation, and mutual support. The texts of the New Testament indicate otherwise.